· Treatment: We may use or disclose your Protected Health Information to provide medical treatment and/or services in order to manage and coordinate your medical care. For example, we may share your medical information with other physicians and health care providers, DME vendors, surgery centers, hospitals, rehabilitation therapists, home health providers, laboratories, nurse case managers, worker’s compensation adjusters, etc. 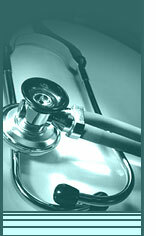 to ensure that the medical provider has the necessary medical information to diagnose and provide treatment to you. · Payment: Your Protected Health Information will be used to obtain payment for your health care services. For example, we will provide your health care plan with the information it requires prior to paying us for the services we have provided to you. This use and disclosure may also include certain activities that your health plan requires prior to approving a service, such as determining benefits eligibility and prior authorization, etc. · Health Care Operations: We may use and disclose your Protected Health Information to manage, operate, and support the business activities of our practice. These activities include, but are not limited to, quality assessment, employee review, licensing, fundraising, and conducting or arranging for other business activities. In addition, we may use a sign-in sheet at the registration desk where you will be asked to sign your name and indicate your physician. We may also call you by name in the waiting room when your physician is ready to see you. We may use or disclose your Protected Health Information, as necessary, to contact you to remind you of your appointment, and inform you about treatment alternatives or other health-related benefits and services that may be of interest to you. · Health Information Exchanges (HIE): Health information exchanges allow health care providers, including IFPSM, to share and receive information about patients, which assists in the coordination of patient care. IFPSM participates in the Emory Healthcare HIE that may make your health information available to other providers, health plans, and health care clearinghouses for treatment or payment purposes. Your health information may be included in the HIE. We may also make your health information available to other health exchange services that request your information for coordination of your treatment and/or payment for services rendered to you. Participation in the HIE is voluntary, and you have the right to opt out. Please see the “Right to Request Restrictions” section to learn about opting out of the HIE. Additional information on Emory Healthcare’s HIE can be found at their website, www.emoryhealthcare.org/ehealthexchange. · Minors: Protected Health Information of minors will be disclosed to their parents or legal guardians, unless prohibited by law. · Required by Law: We will use or disclose your Protected Health Information when required to do so by local, state, federal, and international law. · Abuse, Neglect, and Domestic Violence: Your Protected Health Information will be disclosed to the appropriate government agency if there is belief that a patient has been or is currently the victim of abuse, neglect, or domestic violence and the patient agrees or it is required by law to do so. In addition, your information may also be disclosed when necessary to prevent a serious threat to your health or safety or the health and safety of others to someone who may be able to help prevent the threat. · Judicial and Administrative Proceedings: As sometimes required by law, we may disclose your Protected Health Information for the purpose of litigation to include: disputes and lawsuits; in response to a court or administrative order; response to a subpoena; request for discovery; or other legal processes. However, disclosure will only be made if efforts have been made to inform you of the request or obtain an order protecting the information requested. Your information may also be disclosed if required for our legal defense in the event of a lawsuit. · Law Enforcement: We will disclose your Protected Health Information for law enforcement purposes when all applicable legal requirements have been met. This includes, but is not limited to, law enforcement due to identifying or locating a suspect, fugitive, material witness or missing person, complying with a court order or warrant, and grand jury subpoena. · Coroners and Medical Examiners: We disclose Protected Health Information to coroners and medical examiners to assist in the fulfillment of their work responsibilities and investigations. · Public Health: Your Protected Health Information may be disclosed and may be required by law to be disclosed for public health risks. This includes: reports to the Food and Drug Administration (FDA) for the purpose of quality and safety of an FDA-regulated product or activity; to prevent or control disease; report births and deaths; report child abuse and/or neglect; reporting of reactions to medications or problems with health products; notification of recalls of products; reporting a person who may have been exposed to a disease or may be at risk of contracting and/or spreading a disease or condition. · Health Oversight Activities: We may disclose your Protected Health Information to a health oversight agency for audits, investigations, inspections, licensures, and other activities as authorized by law. · Inmates: If you are or become an inmate of a correctional facility or under the custody of the law, we may disclose Protected Health Information to the correctional facility if the disclosure is necessary for your institutional health care, to protect your health and safety, or to protect the health and safety of others within the correctional facility. · Military, National Security, and other Specialized Government Functions: If you are in the military or involved in national security or intelligence, we may disclose your Protected Health Information to authorized officials. · Immunizations: We will provide proof of immunizations to a school that requires a patient’s immunization record prior to enrollment or admittance of a student in which you have informally agreed to the disclosure for yourself or on behalf of your legal dependent. · Worker’s Compensation: We will disclose only the Protected Health Information necessary for Worker’s Compensation in compliance with Worker’s Compensation laws. This information may be reported to your employer and/or your employer’s representative regarding an occupational injury or illness. · Practice Ownership Change: If our medical practice is sold, acquired, or merged with another entity, your protected health information will become the property of the new owner. However, you will still have the right to request copies of your records and have copies transferred to another physician. · Breach Notification Purposes: If for any reason there is an unsecured breach of your Protected Health Information, we will utilize the contact information you have provided us with to notify you of the breach, as required by law. In addition, your Protected Health Information may be disclosed as a part of the breach notification and reporting process. · Research: Your Protected Health Information may be disclosed to researchers for the purpose of conducting research when the research has been approved by an Institutional Review or Privacy Board and in compliance with law governing research. · Business Associates: We may disclose your Protected Health Information to our business associates who provide us with services necessary to operate and function as a medical practice. We will only provide the minimum information necessary for the associate(s) to perform their functions as it relates to our business operations. For example, we may use a separate company to process our billing or transcription services that require access to a limited amount of your health information. Please know and understand that all of our business associates are obligated to comply with the same HIPAA privacy and security rules in which we are obligated. Additionally, all of our business associates are under contract with us and committed to protect the privacy and security of your Protected Health Information. · Communication with family and/or individuals involved in your care or payment of your care: Unless you object, disclosure of your Protected Health Information may be made to a family member, friend, or other individual involved in your care or payment of your care in which you have identified. · Disaster: In the event of a disaster, your Protected Health Information may be disclosed to disaster relief organizations to coordinate your care and/or to notify family members or friends of your location and condition. Whenever possible, we will provide you with an opportunity to agree or object. · Fundraising: As necessary, we may disclose your Protected Health Information to contact you regarding fundraising events and efforts. You have the right to object or opt out of these types of communications. Please let our office know if you would NOT like to receive such communications. · Disclosure of Psychotherapy Notes: Unless we obtain your written authorization, in most circumstances we will not disclose your psychotherapy notes. Some circumstances in which we will disclose your psychotherapy notes include the following: for your continued treatment; training of medical students and staff; to defend ourselves during litigation; if the law requires; health oversight activities regarding your psychotherapist; to avert a serious or imminent threat to yourself or others; and to the coroner or medical examiner upon your death. · You have the right to inspect and copy your Protected Health Information (reasonable fees may apply): Pursuant to your written request, you have the right to inspect and copy your Protected Health Information in paper or electronic format. Under federal law, you may not inspect or copy the following types of records: psychotherapy notes, information compiled as it relates to civil, criminal, or administrative action or proceeding; information restricted by law; information related to medical research in which you have agreed to participate; information obtained under a promise of confidentiality; and information whose disclosure may result in harm or injury to yourself or others. We have up to 30 days to provide the Protected Health Information and may charge a fee for the associated costs. · You have a right to a summary or explanation of your Protected Health Information: You have the right to request only a summary of your Protected Health Information if you do not desire to obtain a copy of your entire record. You also have the option to request an explanation of the information when you request your entire record. · You have the right to obtain an electronic copy of medical records: You have the right to request an electronic copy of your medical record for yourself or to be sent to another individual or organization when your Protected Health Information is maintained in an electronic format. We will make every attempt to provide the records in the format you request; however, in the case that the information is not readily accessible or producible in the format you request, we will provide the record in a standard electronic format or a legible hard copy form. Record requests may be subject to a reasonable, cost-based fee for the work required in transmitting the electronic medical records. · You have the right to receive a notice of breach: In the event of a breach of your unsecured Protected Health Information, you have the right to be notified of such breach. · You have the right to request Amendments: At any time if you believe the Protected Health Information we have on file for you is inaccurate or incomplete, you may request that we amend the information. Your request for an amendment must be submitted in writing and detail what information is inaccurate and why. Please note that a request for an amendment does not necessarily indicate the information will be amended. · You have a right to receive an accounting of certain disclosures: You have the right to receive an accounting of disclosures of your Protected Health Information. An “accounting” being a list of the disclosures that we have made of your information. The request can be made for paper and/or electronic disclosures and will not include disclosures made for the purposes of: treatment; payment; health care operations; notification and communication with family and/or friends; and those required by law. · You have the right to request restrictions of your Protected Health Information: You have a right to restrict and/or limit the information we disclose to others, such as family members, friends, and individuals involved in your care or payment for your care. You also have the right to limit or restrict the information we use or disclose for treatment, payment, and/or health care operations. Your request must be submitted in writing and include the specific restriction requested, whom you want the restriction to apply, and why you would like to impose the restriction. Please note that our practice/your physician is not required to agree to your request for restriction with the exception of a restriction requested to not disclose information to your health plan for care and services in which you have paid in full out-of-pocket. · You have a right to request to receive confidential communications: You have a right to request confidential communications from us by alternative means or at an alternative location. For example, you may designate we send mail only to an address specified by you which may or may not be your home address. You may indicate we should only call you on your work phone or specify which telephone numbers we are allowed or not allowed to leave messages on. You do not have to disclose the reason for your request; however, you must submit a request with specific instructions in writing. · You have a right to receive a paper copy of this notice: Even if you have agreed to receive an electronic copy of this Privacy Notice, you have the right to request we provide it in paper form. You may make such a request at any time.